Democracy takes us into a world of political intrigue, espionage and betrayal . Based on real life events during the final months in office of the charismatic West German Chancellor Willy Brandt, this political tale unfolds as suspicions rise of a Stasi spy infiltrating his inner circle. Tensions mount as Brandt’s precarious coalition government is pushed to its limits. 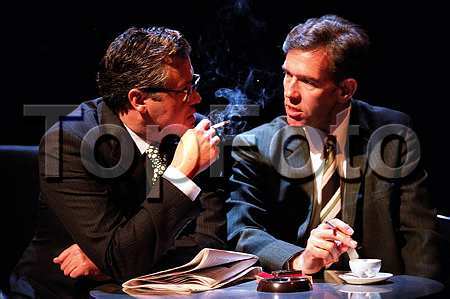 Text from 2012 Revial of the play at the Old Vic. Casting Announcement at What’s On Stage. Interview with Michael Frayn about Democracy, hosted at the National Theatre. 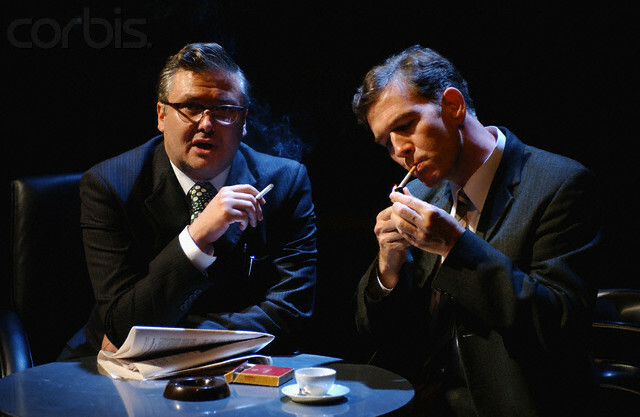 Interview with Michael Frayn about the historical events behind the play, from The Guardian, 6 September, 2003. Michael Frayn’s other plays include Noises Off, The Two of Us, Alphabetical Order, Donkeys’ Years, Clouds, Balmoral, Make or Break, Benefactors, Copenhagen and Afterlife. 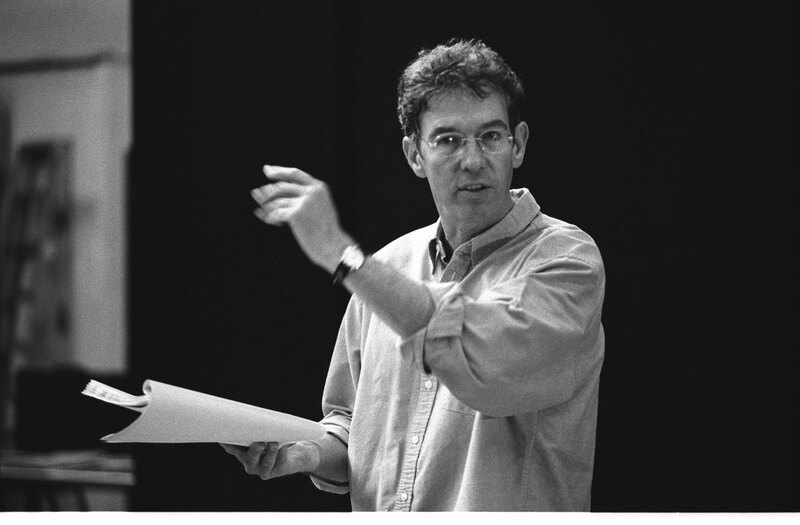 He has also published eleven novels, including Skios and Spies which won the Whitbread Novel Award, and has written several screen plays including Clockwise starring John Cleese. 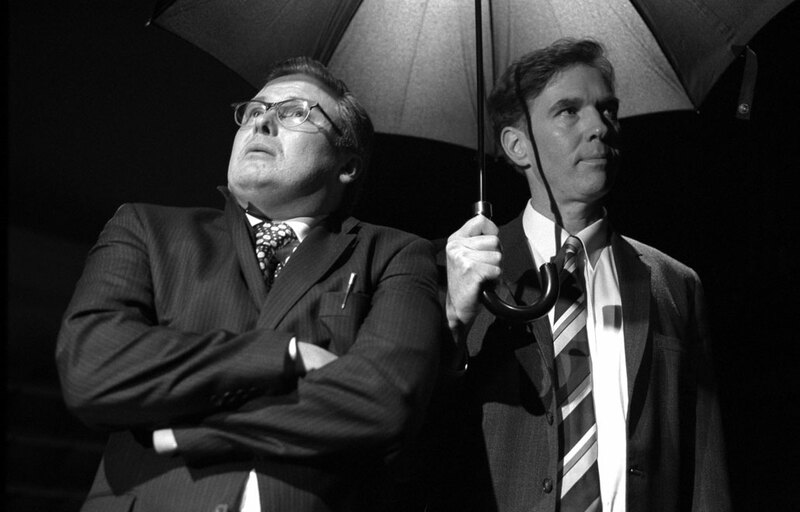 Michael Frayn’s Democracy was winner of the Evening Standard and Critics’ Circle best play awards, and nominated for an Olivier Award in 2003. Roger Allam received an Olivier nomination for Best Actor. 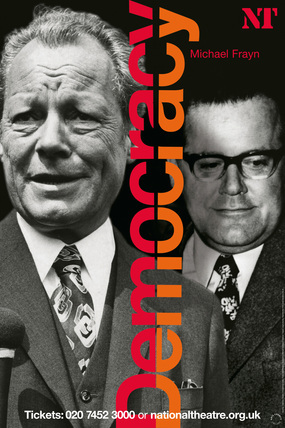 Democracy premiered, in this production at the National Theatre (Cottesloe), on 9 September, 2003 (previews from 30 August). It played until 30 December, 2003. Democracy is a play in two acts. Sessions were approximately 2 hours and 35 minutes, with one 20 minute interval. Times: Tuesday through Saturday at 8:00pm, with matinees Wednesday and Saturday at 2:00pm, Sunday at 3:00pm. Tickets were £10 – £25. 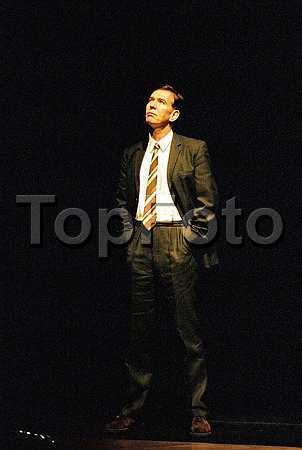 Photograph: Robbie Jack, available from Corbis. Photograph: Marilyn Kingwill, available from TopFoto. 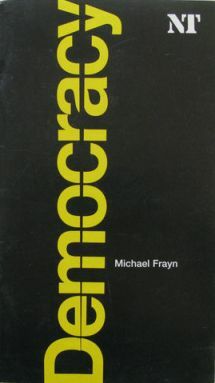 Please note: The term Democracy as well as all associated graphics, logos, and/or other tradermarks, tradenames or copyrights are the property of the Michael Frayn and the National Theatre and are used herein for factual descriptive purposes only. We are in no way associated with or authorized by the owners and neither that entity nor any of its affiliates have licensed or endorsed us to sell tickets, goods and or services in conjunction with their events.